You’re a creative type, and it can be hard to restrict yourself to a firm schedule. When you’re in a rut or in between projects, it can be especially hard to make it into the studio every day. Why bother on those off days, right? But maintaining a daily art habit is about more than just productivity– it’s about cultivating a lifestyle that helps you move through those off days (weeks? months?) without completely losing your momentum or getting stuck in a true rut that’s hard to pull yourself out of. A daily art practice can also be an easy way to consistently show up for your audience whether you’re communicating with them through email, Facebook, Instagram, or something else. The key to getting your art-making to be as automatic as brushing your teeth and walking the dog is to treat it just like those mundane activities; that is, to treat it like a habit. We all have habits. Some good, some bad. A habit isn’t always something that’s bad for you like smoking or biting your fingernails. Making your morning coffee or tea, reading a novel before bed, and brushing your teeth might all be habits that you have as well- they’re behaviors you perform on a regular basis without thinking about them beforehand. You just do them. But you didn’t emerge from the womb with an instinct propelling you to brush your teeth twice a day. Some time in your early life that habit was formed (perhaps with some measure of cajoling from your parents). And the great thing about habits is that it’s entirely within our power throughout our entire life to eliminate bad habits and start new good ones. How long does it really take to form a habit? Conventional wisdom says that it takes 21 days to form a new habit. This is actually a pretty significant underestimation. Although it’s possible to form a habit in that timeframe, it’s unlikely. In fact it can take up to 250 days depending on the details of the habit, its complexity, and the individual. The good news is that the routine for establishing a new habit is fairly straightforward. You can use habits or other daily events that are already an established part of your life to introduce a new art-making habit that sticks. 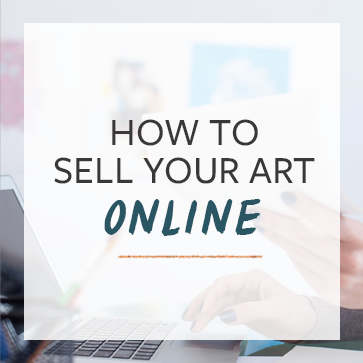 If your art-making is currently sporadic or variable in terms of how long you spend in the studio or what you spend your time working on, you’ll set yourself up to fail by trying to do too much at once. So rather than deciding that you’re going to paint a complete 20×20 canvas every morning (unless you’re a speed painter,) set a smaller goal like sketching for 5 minutes. Your habit trigger is what reminds you to get started every day. For example, if you eat eggs for breakfast every morning out of habit, it’s likely that your habit trigger is waking up in the morning. It happens every day automatically, and upon waking you’re reminded to make your eggs. The reason we develop habits is because they provide some reward for us, whether it’s a bad habit or a good habit. The reward for the daily breakfast of eggs from the previous example is a warm and healthy meal that keeps you feeling satisfied until lunch. You feel good after you do it, so it’s easy to do it again and again. If you’re concerned about whether rewards with a longer-term benefit will offer enough incentive as you build your habit, you can track your habit and reward yourself when you reach milestones. When you’re in the habit-building stage, it’s a good idea to track your progress. This gives you insight into whether the reminder you’ve chosen is an effective one, whether your initial habit goal is too ambitious, etc. A simple spreadsheet with dates and a space to place an “X” every day that you perform your new habit is all you need. It’s a good idea to print it out and hang it somewhere prominent as another reminder. When you’ve been at it for a while (at least a month, perhaps longer) and you’re finding that you no longer have to stop and think about your art habit before you start doing it, you can step it up. Maybe instead of sketching for five minutes, you’re ready to make it 15 minutes, or add inking or painting into the process to produce a finished piece. Increase the complexity, difficulty, and/or length of your new habit in increments so that you don’t get overwhelmed. The idea is to create a sustainable long-term behavior, so it’s better to spend months getting where you want to be and then staying there rather than jumping in to the deep end immediately and finding that you can’t stick with it after a few days. A daily art habit is good for your mental health, and great for your business. 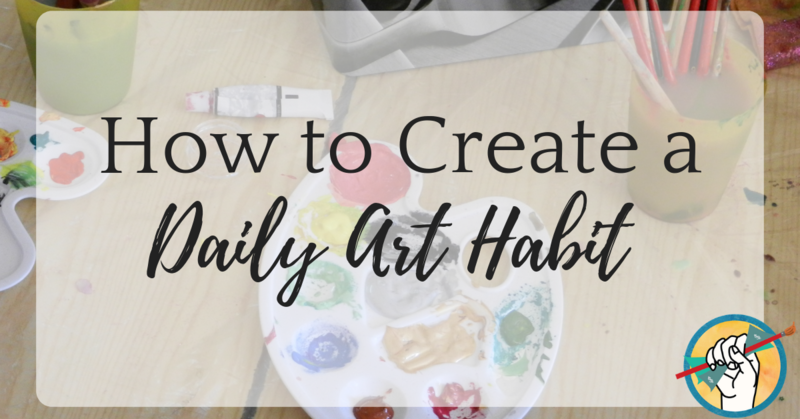 Building a daily art habit doesn’t have to be an intimidating “all or nothing” bandwagon approach. No matter how much time you have available in a day, whether you work a demanding day job or not, creating art every day is an achievable goal. The keys to success are to start small, set yourself up for success with clearly defined reminders and rewards, and track your progress. Want more ways to increase your productivity? – Accountability – I felt I had to follow through or end up embarrassing myself. People tell me they enjoy seeing them on social media (the carrot), and let me know they’ve missed me when I’ve taken a break (the stick). – Improved skills – There were some techniques I wanted to try and some techniques/habits I wanted to lose and daily painting helped with both. Working small and working daily helped me get over the feeling that every brushstroke was precious. The results so far include a few sales, much better painting, and some nice local PR, which I’m sincerely hoping will lead to sales of the larger works.